Apple has been in the smartphone/tablet industry for a long time. It has always amazed its users with its unique and reliable products. The fact that their products are smart and efficient cannot be denied. But at some point, every Apple’s users must have felt that the keyboard of their device is not up to their expectations. Especially, the auto-correct options of iPhones are one of the troublemakers in this regard. While talking about the keyboards, the users of Android has got the freedom of using an alternative keyboard that makes them comfortable whereas this feature was not available to Apple smartphone users. The users of iOS were provided with this facility (using an alternative keyboard) only in 2014. Since the Apple users got their freedom to use any third-party keyboards, now there are many keyboard apps available on the Apple App store. These third-party keyboards provide a variety of features like swipe typing, emoji etc. In this article, we will provide you with the details of some third-party iPhone keyboard apps that can be used on your premium device. This iPhone keyboard app has got a unique feature which allows the users to make Google search in the search bar. This facility makes the work easier and users don’t have to shift to another app but can do it from where they are working. By downloading this app, you can bring this facility to your iPhone. Apart from this, you can also share the information/result obtained after searching in the search bar with your friends. If you have enabled the location of your device, you can also search for the nearest places which you would like to go. In addition to the integrated Google search, this app has also got various other features like swipe texting, using spacebar as a trackpad for those devices that supports 3D touch. By long pressing the spacebar you can also enable voice diction which is provided by Google (not Siri). This is also suggested one of the apps mostly used by the users of iPhone. Typos are something which usually occurs when you are chatting or typing something. Most people don’t care about these types, but there still many people who are embarrassed about typos. This iPhone keyboard app is mainly developed by aiming those people who are embarrassed about typos. This iOS-based app has got an excellent auto-correct feature which works on artificial intelligence that helps the users of iPhone to overcome the problem of typos. The developers of this app claim that this app observes the typing pattern if the users and predicts the words and emoji accordingly. There is an option namely ‘flow’ in this app which allows the user to type quickly by swiping the keys instead of tapping it. This app also provides some themes for the keyboard (which includes both paid and free) which you can select according to your interest. This app also allows the iPhone users to design a theme of their own for their keyboard. Additionally, this app has also got some extra features like bilingual auto-correct (corrects words from two languages simultaneously). It supports more than 90 languages and you can check various stats under the settings option of the app. This app which operates on the basis of the AI system is one of the most recommended keyboard apps for the users of iPhone. 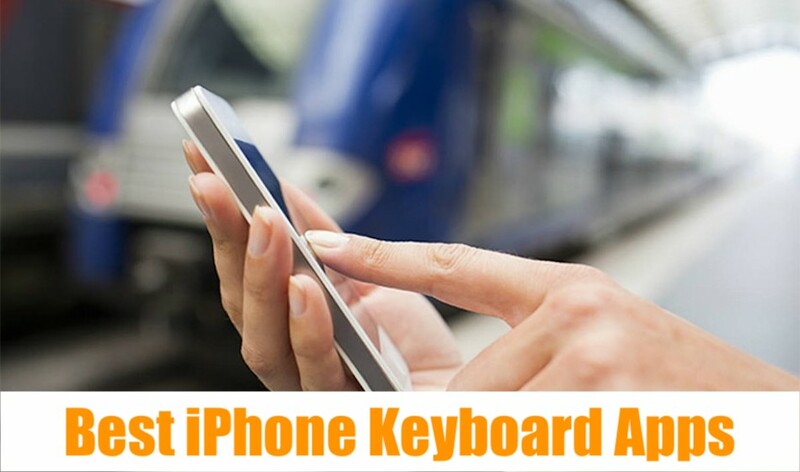 If you are someone who is fed-up of using the ordinary iPhone keyboard, then iPhone keyboard app is developed for those people who want some attractive keyboards. This keyboard functions like the normal keyboard, but what makes it different is the attractive background that it has. This app provides some stylish themes which you can select to provide background for the keyboard of your iPhone. The user can also make a theme of his own by selecting a picture from the gallery. This app has more features like swipe keyboard and emoji predictions. For those iPhone users who are looking for an attractive keyboard, this is something worth downloading. We know many people who are expressive around us. These kinds of people would like to express more than texting. Bitmoji is such an app aimed for expressive users. This iPhone keyboard app lets you create your avatar. This avatar (emoji-based image) can be used for messaging. The users of Snapchat may be familiar with this kind of avatars. In this app, you can also log in with your Snapchat account. This app helps you to express your emotions or how you feel with the help of this avatar. iPhone users who are expressive can opt for this app. Grammarly is a well-known English language platform, that aims at the development of the user’s English knowledge. It has git its own keyboard app too. This app which can be used for the users of iPhone acts as a grammar checker and spell checker. In some instances where you have to write a formal letter or anything, this iPhone keyboard app can be used to avoid mistakes. For those who are terrible in English grammar, all you have to do is just tap a button after writing the content. The app checks for any mistakes and enhancement that can be made is suggested. The auto-correct of this iPhone keyboard app is highly precise and you can select your native English like American English, Australian English, British English and Canadian English as per your need. This iPhone keyboard app is designed for those iPhone users to type quickly and efficiently. This app has got colourful themes and option for selecting GIFs and Stickers (from thousands of them). This keyboard which is designed for iOS users supports about 42 languages. This app has got a special feature, which gestures control, that allows the users to add punctuation marks, space, and delete a word by just swiping the keyboard. Users can also set the fonts if their choice from the list of font option provided by this app. The size of the keyboard can be adjusted with the help of this app. This app is a gesture-based app that can be used by iOS users for writing while having fun. This is our recommended list of third-party iPhone keyboard app of 2019. However, there are many other iPhone keyboard app that you can find over the App store. Do let us know which iPhone keyboard app you are using and what is special about them.